You found us! On a peninsula surrounded by Lake of Two Rivers in the heart of Algonquin Park, some of Canada's most beautiful and pristine wilderness. 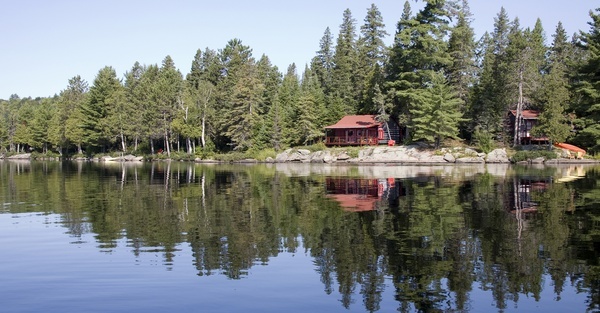 Relax in our private lakeside cabins or by the fire in our lounge. Each cabin is decorated in a comfortable, canadian country style. Rates include three meals daily and your own canoe. In keeping with the quiet nature of Killarney Lodge, there are no radios, televisions or telephones in the cabins. ©2014-17 Assunta Technologies. All Rights Reserved.